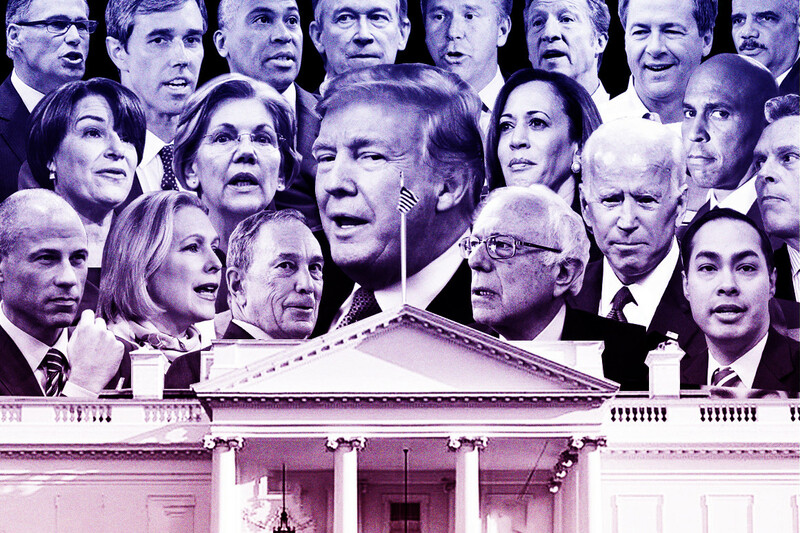 There are 648 days until the 2020 presidential election, but it appears that Donald Trump is headed for defeat by any major candidate Democrats nominate. (For example, https://twitter.com/sahilkapur/status/1087758614012575751.) 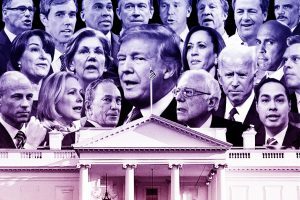 Nonetheless, the Democratic presidential candidate will have a lot of work to do, repairing the damage that Trump, and his Republican co-conspirators, have done to the United States. Let’s consider the top ten Democratic candidates and discuss who might be the best leader for 2020. Joe Biden: Biden is 76 (DOB: 11/20/42) and has spent most of his adult life in politics. Before becoming Barack Obama’s Vice President, Biden was a six-term Senator from Delaware. In the current political context, Biden is a centrist Democrat — he’s liberal on most issues but too cozy with big money for some Dems. While universally regarded as a nice guy, Biden is not considered a good campaigner. Key question: can Joe Biden convince voters he’s the leader they’re looking for? Cory Booker: Booker is 49 (4/27/69) and the junior Senator from New Jersey (his first full term began in 2015). Prior to that, Booker was the mayor of Newark, New Jersey. For some Democrats, Booker is the political successor to Barack Obama; he’s an attorney and community organizer as well as an inspiring speaker. Nonetheless, while Booker’s overall voting record is very liberal, some are suspicious of his ties to Wall Street and “Big Pharma.” Key question: can Cory Booker resonate with voters outside the liberal coasts? Sherrod Brown: Brown is 66 (11/9/52) and the senior Senator from Ohio (since 2007) — before that he was in the House for 14 years. Brown is a champion of organized labor and “blue-collar” workers in general. He has a winning record in Ohio, where many other Democrats have failed. He’s one of the most liberal members of Congress. Brown has an additional advantage — his wife, nationally syndicated writer Connie Schultz, is a powerful political voice. Key question: can Sherrod Brown resonate with voters outside the rust belt? Castro’s campaign literature indicates that he’s firmly in the liberal camp — with a special emphasis on immigration issues. Key question: can Julian Castro develop support in the early Democratic primaries? Gillibrand began political life as a conservative Democrat with a relatively anti-immigrant, pro-gun stance. As a Senator she’s moved to the left and taken pro=female, pro-family positions such as paid family leave and speaking out against sexual assault in the military and sexual harassment in general. Key question: Can Kirsten Gillibrand resonate with voters outside New York? Kamala Harris: Harris is 54 (10/20/64). She’s the junior Senator from California (2016). Before that she was California Attorney General (2010) and San Francisco District Attorney (2004). Harris is a consistent liberal Democrat although some have expressed concern about her criminal justice record — as DA and Attorney General. Harris has a commanding public presence and takes a strong civil-rights perspective. Key question: Can Kamala Harris resonate with voters outside the liberal coasts? Amy Klobuchar: Klobuchar is 58 (5/25/60). She’s senior Senator from Minnesota (2006). Before that she was Hennepin County attorney for 8 years. Klobuchar is a consistent liberal Democrat with a long record of working with Republicans as well as Democrats. (At the end of the 114th Congress, Klobuchar had seen more of her own legislation pass than had any other Senator.) Key question: Can Amy Klobuchar resonate with voters outside the rust belt? Beto O’Rourke: O’Rourke is 46 (9/26/72). He was a three-term congressman from Texas; in November 2018 he lost his campaign to replace Texas Senator Ted Cruz. O’Rourke is a centrist Democrat better known for his fundraising and public speaking talents than for his legislative accomplishments. If any Democratic candidate can be labelled “charismatic,” it’s probably Beto. Key question: Can Beto O’Rourke convince national Dems that he’s a serious candidate? Bernie Sanders: Sanders is 77 (9/8/41). He’s the junior Senator from Vermont (2007) and the longest serving Independent in Congressional history — he became Vermont’s representative-at-large in 1991. In 2016, Sanders opposed Hillary Clinton in the Democratic presidential contest and narrowly lost (winning 46 percent of pledged delegates). Sanders believes U.S. Democracy is broken and needs radical change: “I don’t believe that the men and women who defended American democracy fought to create a situation where billionaires own the political process” Key question: Can Bernie Sanders rekindle the enthusiasm he generated in 2016? Elizabeth Warren: Elizabeth Warren is 69 (6/6/49). She’s the senior Senator from Massachusetts (2013). Before entering politics, Warren was a professor at Harvard Law School (specializing in bankruptcy and consumer protection). Warren believes “the system is rigged” against the 99 percent: “[Washington politicians] work for the rich and the powerful and not the rest of us. It’s throughout the system… It is corruption and it is eating away at our democracy and every fiber of our lives.” Key question: Can Elizabeth Warren resonate with voters outside the liberal coasts? There are several ways to parse these ten candidates: Joe Biden, Bernie Sanders, and Elizabeth Warren are the best known. Beto O’Rourke is the most charismatic but Cory Booker and Kamala Harris have “star power;” all three are gifted orators. Another way to view the contest is to ask: Which Democratic candidate has the best chance to heal the country? Who could repair the damage that Trump has done? From this perspective, Amy Klobuchar might be the best candidate because of her record working across party lines. It will be an interesting contest. The Democrats are blessed with several very strong candidates.